Mosque is a Holy place for Muslims. It refers to its Arabic name Masjid. Jama Masjid, commonly known as the Jama Masjid of Delhi, is the principal mosque of Old Delhi in India. Commissioned by the Mughal Emperor Shah Jahan, builder of the Taj Mahal, and completed in the year 1656 AD, it is the largest and best known mosque in India and ninth largest mosque in the world. It lies at the origin of a very busy central street of Old Delhi, Chandni Chowk. 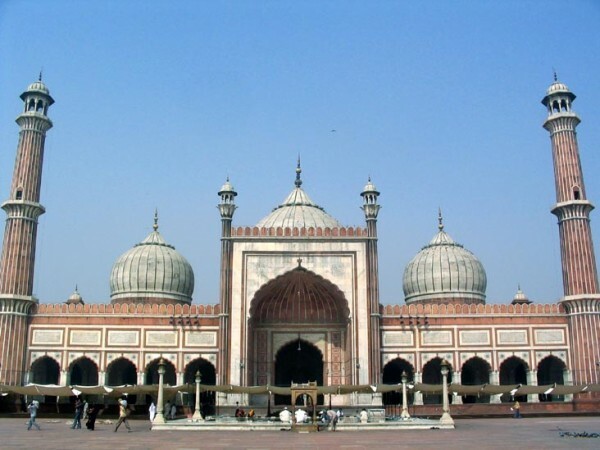 The later name, Jama Masjid, is a reference to the weekly Friday noon congregation prayers of Muslims, Jummah, which are usually done at a mosque, the congregational mosque . The courtyard of the mosque can hold up to twenty five thousand worshipers.